THINK BACK: if you were around at the turn of the century, how much do you reckon you were spending on media each week? On a couple of papers a day, magazines, or (heaven forbid) pay-TV? What d’you reckon? £20 a week in today’s values? Perhaps more? So what do you spend that £20 on now? Do you spend £80 or £100 a month on online media; really? and if not, how do you suppose the producers of the media you look at for nothing fund their work? Everyone agrees that there is a crisis in media funding; also that the cause is that advertising revenue is all being scooped up by social media, exploiting the comprehensive data they have acquired to target consumers so precisely that no-one can compete. So what is to be done? Simple. Tax them hard, and spend the money subsidising struggling independent media. OK, and, er … who’s going to tell them? Who’s going to calculate what Facebook and Google should pay, let alone grab the money as it whizzes round the globe? Trickiest of all, who’s going to decide which media, old or new, most deserve a bung? Not to say these things can’t be done. The finest brains in the media business are working on them right now. But there’s an easier way, which is in our hands. At the Byline Festival in East Sussex in August, a speaker from the floor made a daring point. Tom Wills, who is himself crowdfunding a new radical publication, said it was not so much advertisers who had stopped putting money into media, as consumers. We are so spoilt by free access to the wonders of the internet that we baulk at paying for content. Worse, we complain about the intrusiveness of the ads that sites manage to get. Some of us install ad-blocking software because ads irritate us. But the publishers need every penny they can get. Do we want the sites we find useful to survive? or are we trying to finish them off? When we used to buy them, newspapers were too cheap anyway. They made so much from ads that cover prices were determined less to generate income than to define the spending power of the readership they were selling to advertisers. This was an unhealthy balance because it handed them undue power over editorial. Newspapers have always been cheaper through their exemption from VAT, even though the rationale, that they have educational value, has sometimes been questionable. There have been occasional half-hearted attempts to scrap it, but few arguments are as persuasive as those advanced by a newspaper defending its interests. The upshot now is that hardly anyone will pay for news online — not even those prepared to buy a paper with old news in! What madness is this? We might delude ourselves we are upholding the noble principle of free access and free information for all, but in truth we are just being mean. 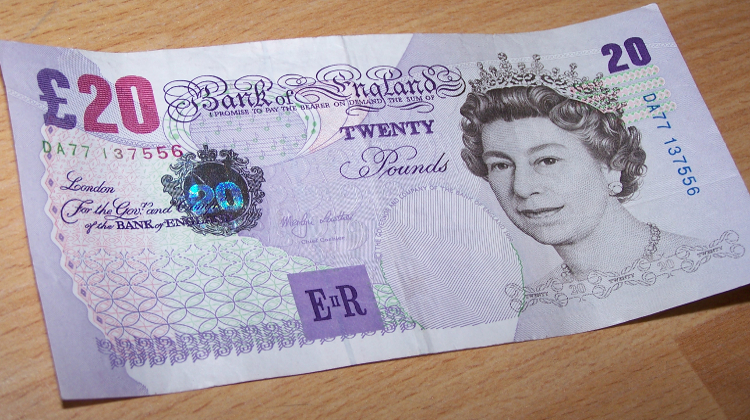 If we really want new media to prosper there is no question but to follow the twenty quid rule: make sure that your weekly outlay on subscriptions, crowdfund donations and one-off purchases pass £20; and of course you can include printed papers and mags in that. You could start by giving a fiver a month to both The Media Fund (who support over 30 of the UK’s leading independent media producers) and Better Media (to help fund and support campaigns for a better media). Previous: Previous post: How will Better Media work?